Hello, and Welcome to Vonnie Davis's Street Team Known as "Vonnie's Vixens"
So what is a Street Team? 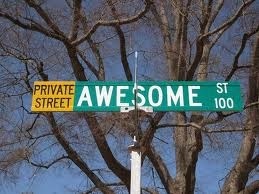 And what street do I stand on? A Street Team is a group of awesome people--that would be YOU--who post book news such as: releases, quotes, book trailers, reviews, links and pictures for the purpose of spreading the word about authors--like me--and their books on the social media sites, Facebook and Twitter. If you are interested in becoming a part of my Street Team, please email a request to vonniedavisauthor @ gmail.com without the spaces, of course. ** PLEASE NOTE: Those who join and do not copy at least one tweet to Twitter or post once on Facebook for over a month are not considered active members and will be deleted from the group. Please feel free to snag my button for your blog or website. This was created by the talented author Kelly Moran just for you. Had I done it, well...let's just say we should all be grateful for Kelly's talent! She's a doll. Have you read any of her books yet? Kelly Moran...check her out.